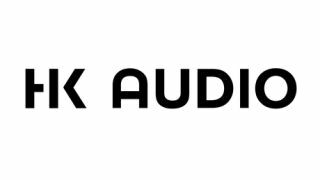 ACOUSTIC EXPO 2013: Over the course of the past 30 years, HK AUDIO has established itself in Europe as a leading name in professional sound reinforcement development and manufacturing. Based in St. Wendel, Germany, the company delivers German designed innovations to satisfy ever-evolving market demands in the Concert Sound, Install Sound and Portable Sound market segments. A passion for engineering and quality is reflected in every product, including the award-winning Elements scalable sound reinforcement solution; the portable, all-in-one SoundCaddy One; and the LUCAS Nano, their most compact and lightweight full-range system ever. Check out the acoustic guitar-specific page on the LUCAS Nano microsite. The HK AUDIO LUCAS Nano (Lightweight Ultra Compact Active System) is a sound reinforcement system offering an ideal combination of small size, convenient options and sound quality that rivals comparatively larger systems. Click here to learn more about the HK Audio LUCAS Nano. This second video talks you through the various uses for this incredibly versatile, portable PA system complete with stereo satellites, a built-in mixer and sub-woofer. To discover more visit the LUCAS Nano microsite. Whether sitting poolside listening to some music while you soak up the sun, cheering on your favorite team on your 60 inch HDTV, or gaming on your laptop, the LUCAS Nano 300 will deliver the clear and powerful sound you need. For more information visit the official HK AUDIO website, or connect with them via Facebook, HK AUDIO US Facebook and Twitter.